The High Court of Bangladesh has upheld death for 2 out of 8 Bangladesh Chhatra League (BCL) men initially sentenced to hang by a lower court for killing Bishwajit Das in old Dhaka. The 2 convicts are former leaders of Chhatra League in Jagannath University (JU) Rafiqul Islam Shakil & Rajon Talukdar. 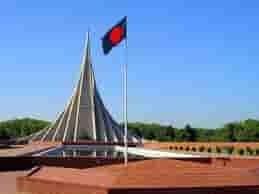 The 4 who were given the benefit of doubt are Mahfuzur Rahman Nahid, Emdadul Haque Emdad, Rasheduzzaman Shaon and Noor-e-Alam Limon. Among Thirteen accused who were sentenced to life imprisonment by the trial court in December, 2013, 2 — AHM Kibria and Golam Mustafa — appealed against their sentences. The High Court acquitted them, but made no comment about the remaining Eleven, who are now on the run. 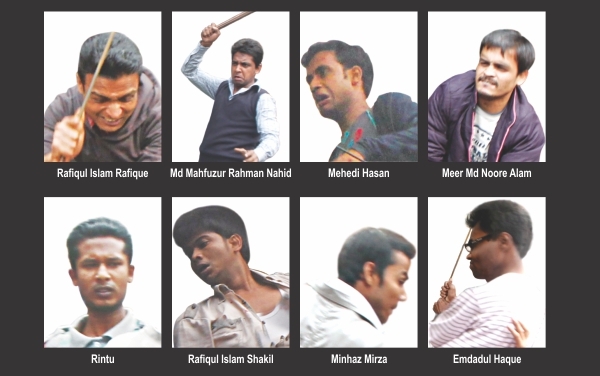 8 leaders & activists of Bangladesh Chhatra League (BCL) were awarded death penalty and 13 others life term for killing Bishwajit Das in old of Dhaka near Bahdur Shah Park on December 9, 2012. 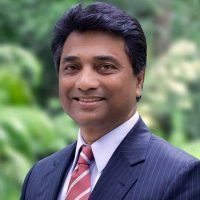 Judge ABM Nizamul Haque of the Speedy Trial Tribunal-4 pronounced the judgment around 12:25pm on December 18, 2013 in the sensational murder. 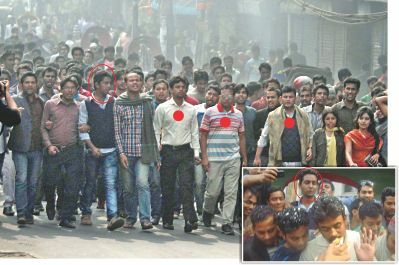 The Chhatra League leader and activities of Jagannath University stabbed dead Biswajit Das, 24, in Laxmibazar on his way to tailoring shop at Shankharibazar in Old Dhaka during the opposition’s countrywide road-blockade programme on December 9, 2012. Convicted 8 are in jail and 13 others are on run. 8 death penalty awarded Bangladesh Chattra League men are: 1) Rafiqul Islam Shakil, 2) Mahfuzur Rahman Nahid, 3) Emdadul Haque Emdad, 4) GM Rasheduzzaman Shaon, 5) Md Shaiful Islam, 6) Kayyum Mia Tipu, 7) Rajon Talukdar and 8) Noor-e-Alam Limon. Rajon Talukdar and Noor-e-Alam Limon are on the run. The life term awarded BCL men are: 1) AHM Kibria, 2) Saiful Islam, 3) Golam Mustofa, 4) Alauddin, 5) Obaidul Quader Tahsin, 6) Imran Hossain, 7) Khondoker Md Yunus Ali, 8) Tarique Bin Zohor, 9) Azizur Rahman, 10) Al Amin Sheikh, 11) Monirul Haque Pavel, 12) Mosharraf Hossain and 13) Kamrul Hasan. AHM Kibria and Golam Mustofa are now in jail. 11 others are on the run. If the convicts get released on the political ground, it will be unjust for the family of the victims and such kind of gory killings will take place in time to time, the honorable court said. 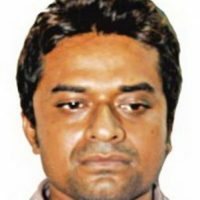 After blast of a cocktail near Bahdur Shah Park on the blockade day, Mistakenly the BCL activists of Jagannath University unit swooped on him in front of Bahadur Shah Park and hacked him with machetes & beat him with iron rods and hockey sticks on the fateful day of last year. Police pressed charges against the 21 BCL men on March 5, 2012 and the tribunal framed charges against them on June 2, 2012. The trial of the case began on June 14 with the deposition of the complainant, Sub-Inspector Jalal Uddin of Sutrapur Police Station.